Some of Delhi’s genuine celebrities vouch for this place and once in a while it’s not unusual to see two plain-clothed commandos sipping lemonade in one corner of the restaurant as Rahul Gandhi and a few friends enjoy a Burrito and salad dinner. Sancho’s in South Extension is the hot new place in town. Spread across two floors, with separate dining and lounge areas, the ambience is warm and inviting, with cheery Mexican artefacts and paintings all around. The wooden décor, hung sombreros and dim lights give the place a rustic, cosy feel. It’s packed on weekends but if you arrive by 8 p.m., you’ll probably get a table of your choice. 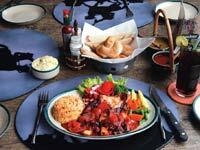 The menu offers a wide choice, including soups and salads, Nachos, Burritos, Fajitas and Enchiladas. Try the House Taco Salad or the Baked Potato Skins to start with. The Tortilla Bar scores for its wide variety of Tortillas and Salsas. The Habanero Salsa is particularly fiery, and is highly recommended for those who love their food spicy. If it’s a full-fledged meal you want, go for the Mole Con Pollo O cerdo (Poblano Mole served with Mexican rice or refried beans) for the main course. Round off the meal with the Creamy Corn Cake, topped with cinnamon and raisins. 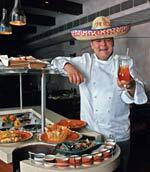 Sammy Sosa, the only dedicated Mexican restaurant in Mumbai, has earned accolades for its food, service and ambience within six months of being in business. Ever since it opened on May 12 this year, the owners Virat and Samrat Kapoor—both in their 20s—have consistently worked on the menu and the service. 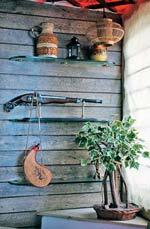 The décor and presentation is also a draw—movie posters of Once Upon a Time in Mexico and Amores Perros hang from the ceiling. Over the weekend, Spanish movies starring Antonio Banderas and Salma Hayek play on their projector screen. Go with the recommendations of the restaurant managers wearing cowboy hats. Or simply start with the frozen Virgin Margarita or the Guava-Chi, a refreshing, Bloody Mary-style mocktail where guava replaces tomato juice. If you need something to munch on with the drinks, order the ‘Heavenly Chile Wings’ (chicken drummettes stuffed with minced chicken, deep fried and rolled in spicy Mexican BBQ sauce) or the Risotto Cheese Balls (arborio stuffed in cheddar cheese balls with green chillies and mushroom). The exotic Ranchado Chicken (marinated, grilled chicken soaked in orange sauce, served with Mexican rice and chillies) or the Texi Mexi (oven cooked lamb served with rice and beans in Colorado sauce, and tortillas) are both favourites with regulars. And to finish, the Chocolate Ecstasy or the Chocolate Mud Pie are the chef’s specialities. The restaurant will soon be acquiring a liquor licence and will be holding a month-long wine festival thereafter. Open: 11 a.m.-3 p.m. & 7 p.m.11 p.m. This restaurant surprises you even before you enter. Cartwheels, horseshoes, a shovel in the window, and a neon arrow, all guide you to the entrance. Situated on the first floor of a commercial building overlooking the busy Millers street is Millers 46—Bangalore’s only Mexican Steakhouse. Running for over five-anda-half years, this 60-seater saloon is one of the busiest places in town, so book early, especially on weekends. Strains of jazz shut out the noise of the high street. Barn-oak finish tables and clay brick surface give the place the feel of a Mexican ranch. The spirits menu is made out of a crushed-up toy Stetson hat. Both Indian and international wines are on offer here. This is the place for steak lovers. We loved the Twice Marinated Steak, Cheese Jalapenos and the Mexican Chimichanga. That and a glass of Long Island Iced Tea—the most popular poison here.